Petey Didn’t Want to Be a Sunbeam! I am a child of God. I know Heavenly Father loves me, and I love Him. I can pray to Heavenly Father anytime, anywhere. I am trying to remember and follow Jesus Christ (Faith in God guidebook, inside front cover). Even though we cannot remember living with Heavenly Father, He remembers. He knows and loves each of us because we are His children. 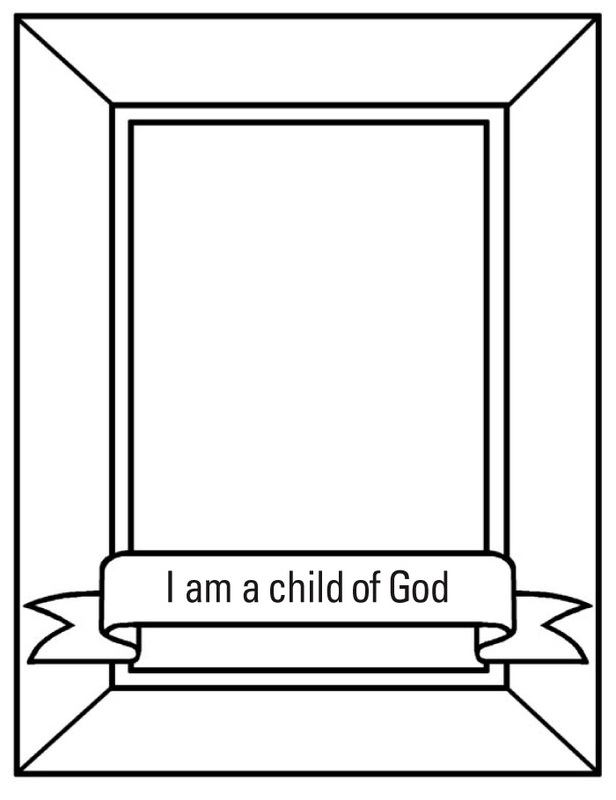 Color the sign on page 39, attach or draw a picture of yourself in the empty box, and display it where you’ll often be reminded that you are a child of God. For a family home evening activity, copy or trace page 39 for each family member and have them color it and attach or draw a picture of themselves. Using President Hinckley’s statement, discuss why it is important to remember that we are children of Heavenly Father. In a family home evening lesson or when you give a talk in Primary, discuss happy memories from when you were younger﻿—something fun that you and your family did together, something you enjoyed learning, etc. Read President Benson’s statement. How does it make you feel to know that someday we’ll remember many other happy experiences from before this life? How does knowing that we once lived with Heavenly Father change how we live here?